The January transfer window is now behind us. There were some big trades, others were not as exciting. But there is one move that can clearly claim the title of the strangest transfer of the January 2018 window. It is actually a story of nine trades, not just one. Nine different players from Saudi Arabia joined Spanish teams, from the first and second division. Their move was announced in mid-January. How did this happen? Has Saudi Arabia become such a soccer empire that one of the best two leagues in the world is so keen on bringing in its players? Don’t hold your breath, the answer is no. Three months prior to this move, soccer authorities in both countries struck a deal meant to endorse the game in Saudi Arabia with Spanish assistance. The news did not get much interest as La Liga has signed various such contracts with countries around the world. 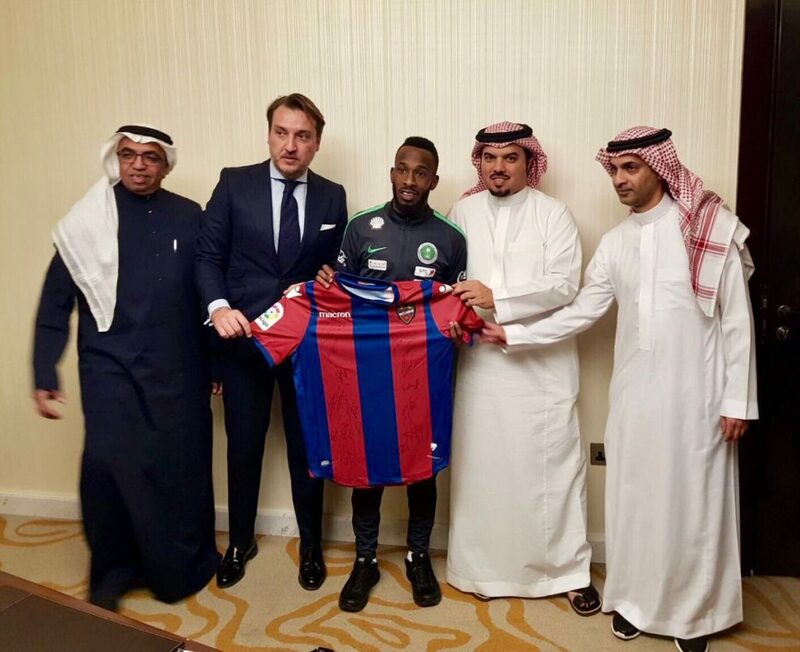 As far as the Saudis were concerned, the main goal was to send some of their national team players, all but one of them play in the local league, to gain experience in La Liga ahead of the World Cup this summer. Sounds great, right? It is for Saudi Arabia, but what’s in it for the Spanish clubs? The answer is simple. Money. Every Spanish club who takes in a Saudi player will be highly compensated, the sums could reach 5 million euros if those players actually get real playing time. Furthermore, their wages are still being paid by the Saudi soccer federation, meaning the Spanish clubs get them for free. This is of course a great incentive for the club, but did anyone consult the man who will eventually have to deal with this, the coach? You already know the answer. When the manager of Leganés, Asier Garitano, was asked if he knows anything about his new player, Yahya Al-Shehri, he admitted he has never seen him play, but since the club asked him to, he will take a look at him and possibly give him a chance. Unsurprisingly, none of the clubs who took in those players are title contenders. You will not find Saudi players heading to Barcelona or Real Madrid, not even to Atletico or Valencia. The clubs targeted are those that struggle to make it through the day. For clubs such as Leganés, Levante, Numancia, or Sporting Gijon, a 5 million euro bonus is a huge boost. If it means they have to bring over a player they do not know for this purpose, then so be it. The Spanish players union has criticized the move, fearing this could open the door for many more such deals in the future, with more players coming from foreign countries and taking up roster spots on the squads. Spanish players already have to fight for their place in a league with so many foreigners who come in on professional grounds. Now they fear that even those few remaining spots for young and developing local talent will be taken away to accommodate foreigners who are not nearly as good but can generate money for the club. This is basically just another example of the path European soccer has taken, and what it currently looks like. There is a group of super teams who win all the domestic titles while all the rest are just busy trying to survive, and are willing to go a long way to achieve that. In such an atmosphere, don’t be surprised to find many more such examples in the future. Fair competition will have to wait for some other time.